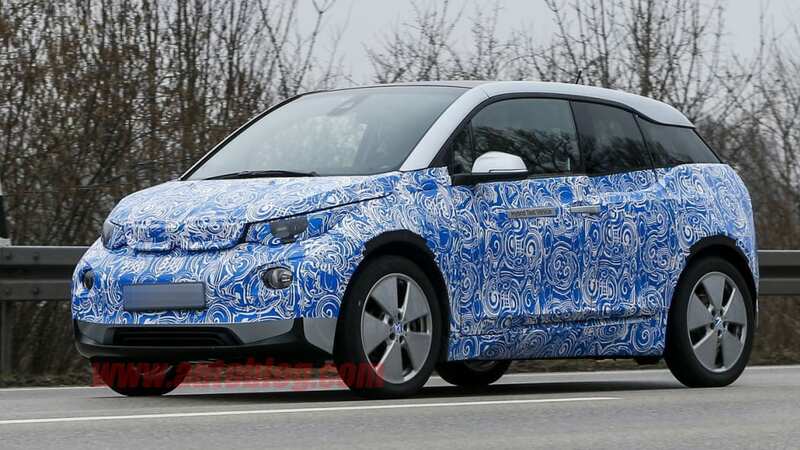 As BMW gets closer to introducing the production version of its plug-in i3, we keep seeing the hatchback being tested with lessening degrees of design-obscuring camouflage. 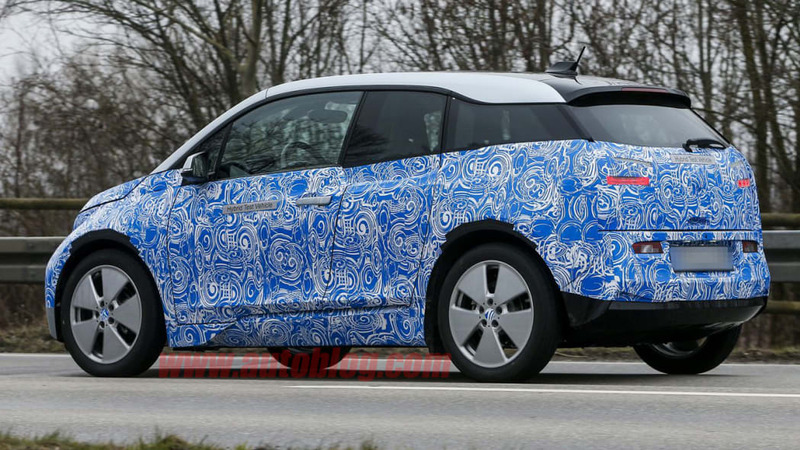 Last we heard, BMW is expecting to have the i3 ready by the end of this year, and the swirly, blue camo does little to hide its basic design in these latest spy shots. 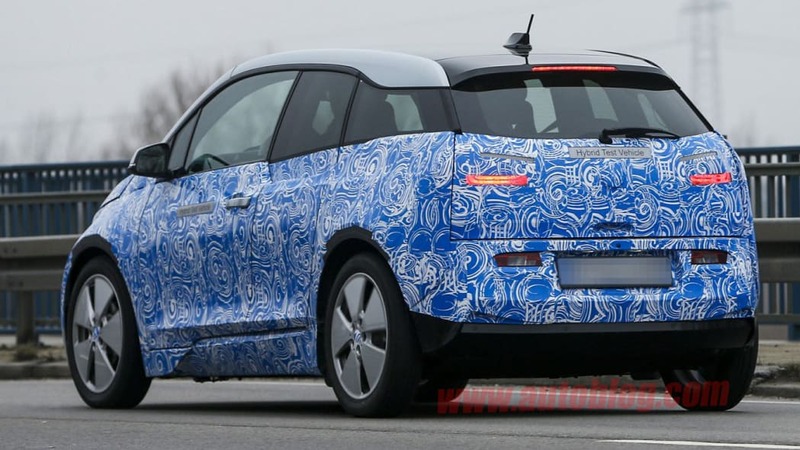 We get our first clear look at almost everything above the wavy beltline including the silver roof edges and matching mirror caps, and it can't hide the dip in the beltline behind the B-pillar – matching what we've already seen on the i3 Coupe Concept unveiled at the LA Auto Show last year. 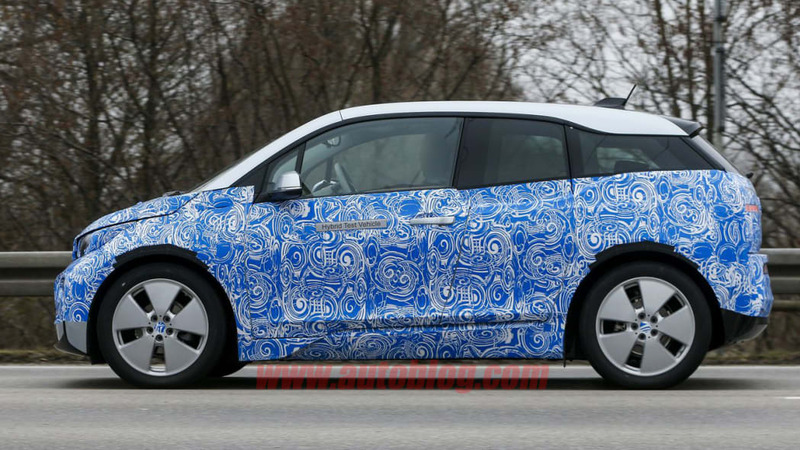 Another change we notice is the lower portion of camo removed from the front fascia allowing us to see the air opening and the black, vertical inserts leading up to the fog light bezels. 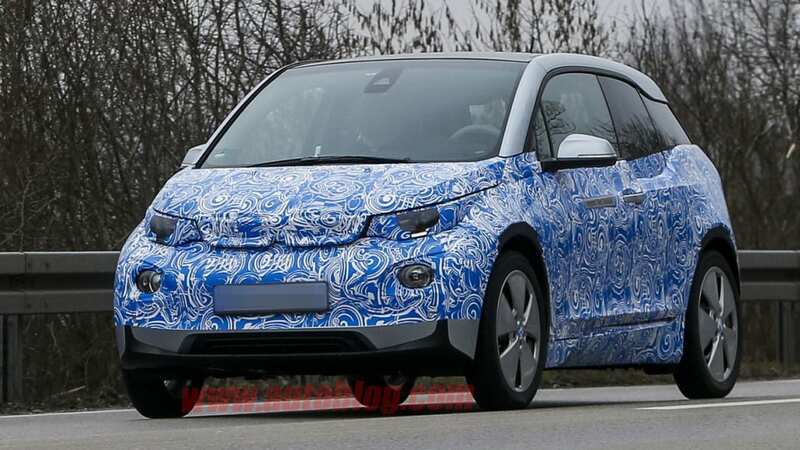 Judging by the "Hybrid Test Vehicle" stickers on the side of this prototype, we can only assume that this is the optional range-extended model.